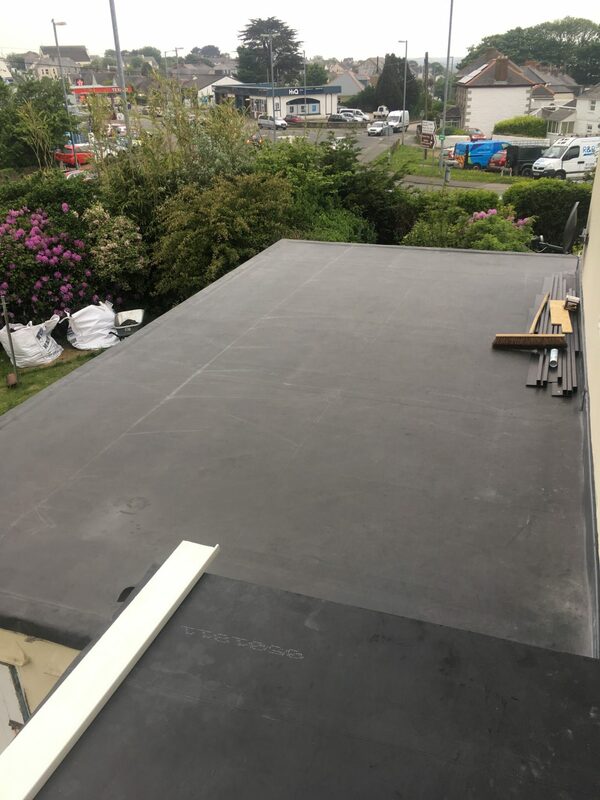 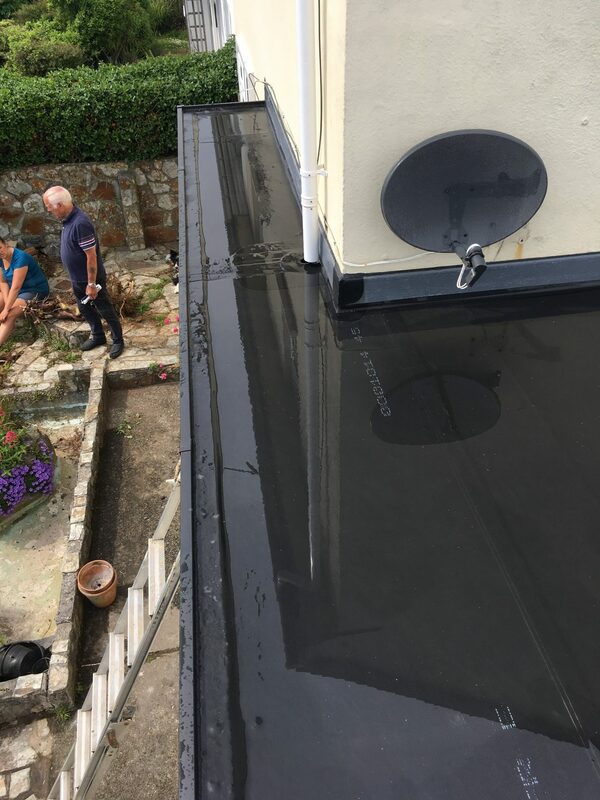 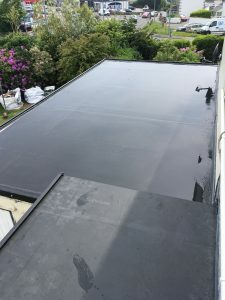 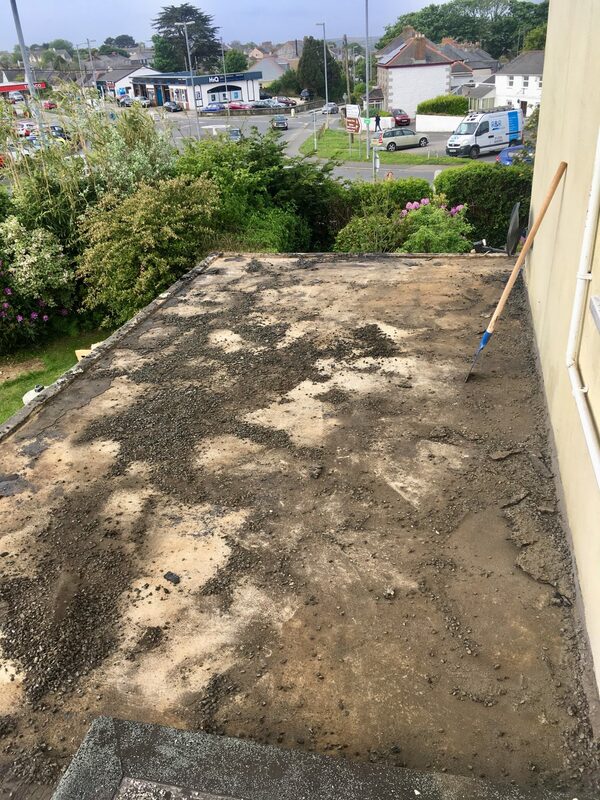 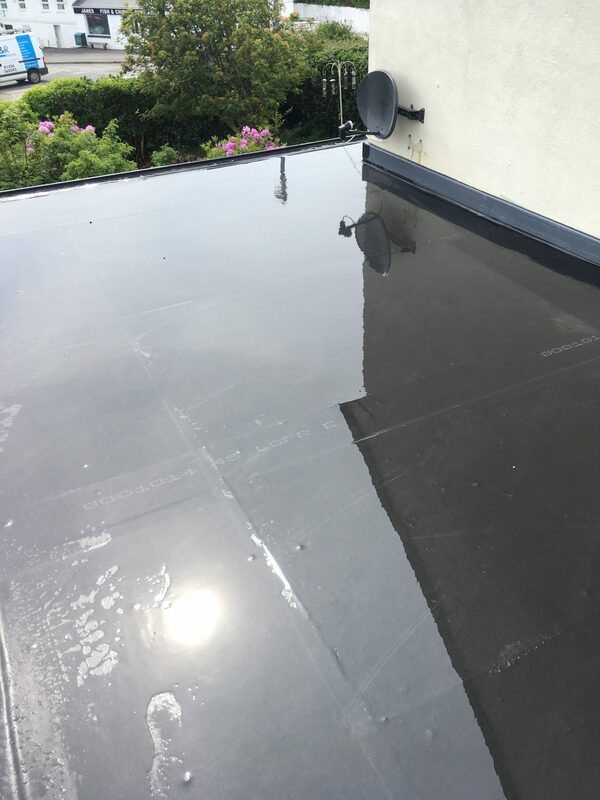 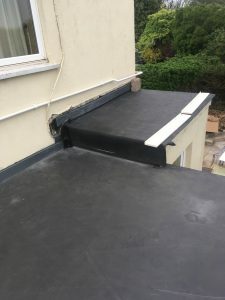 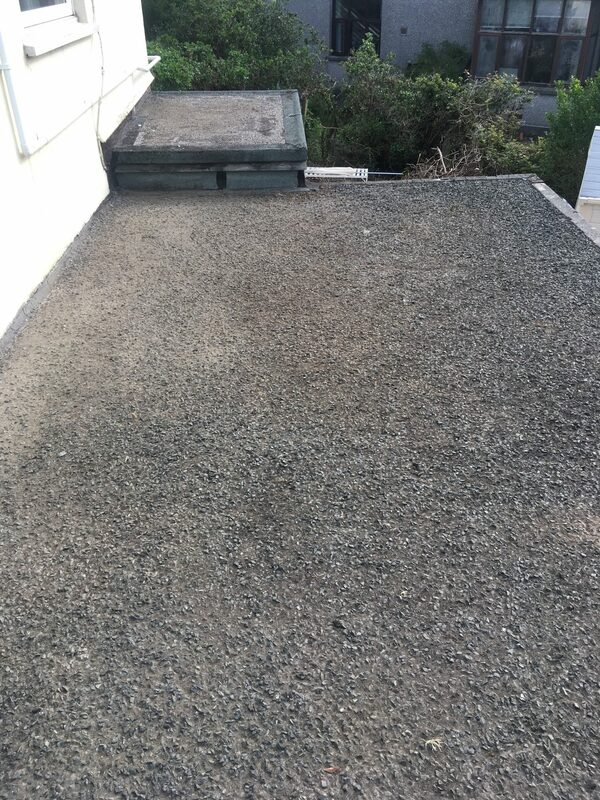 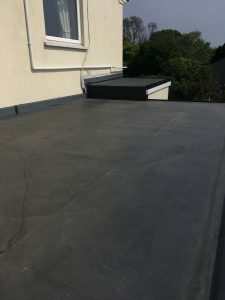 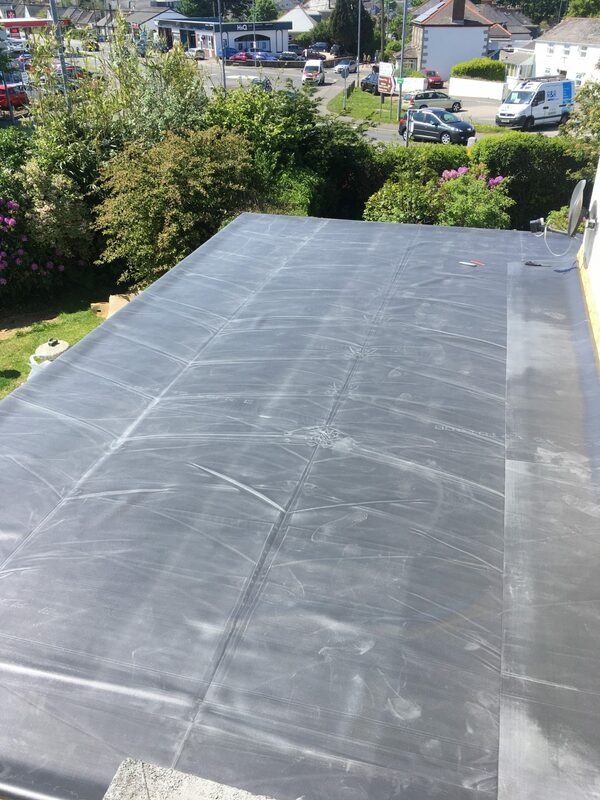 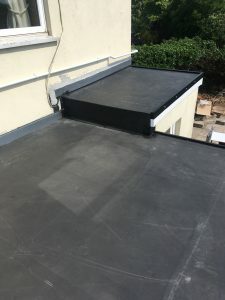 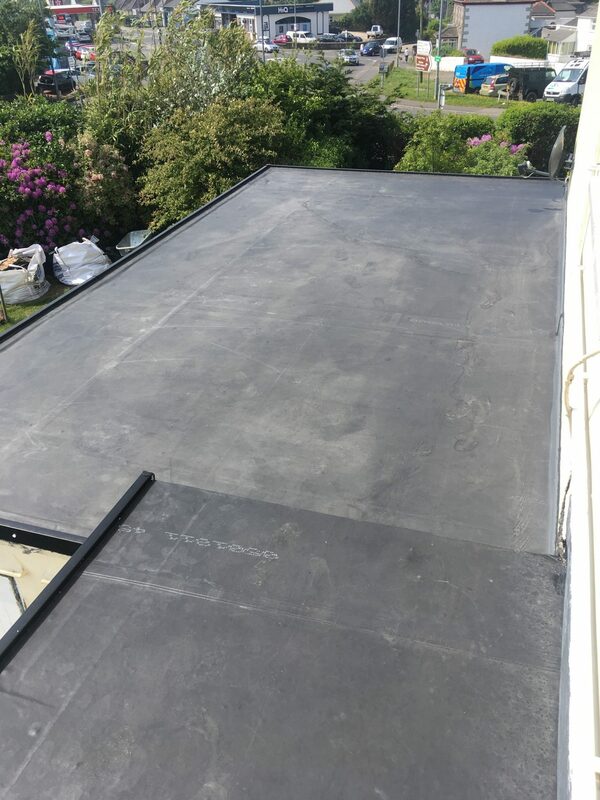 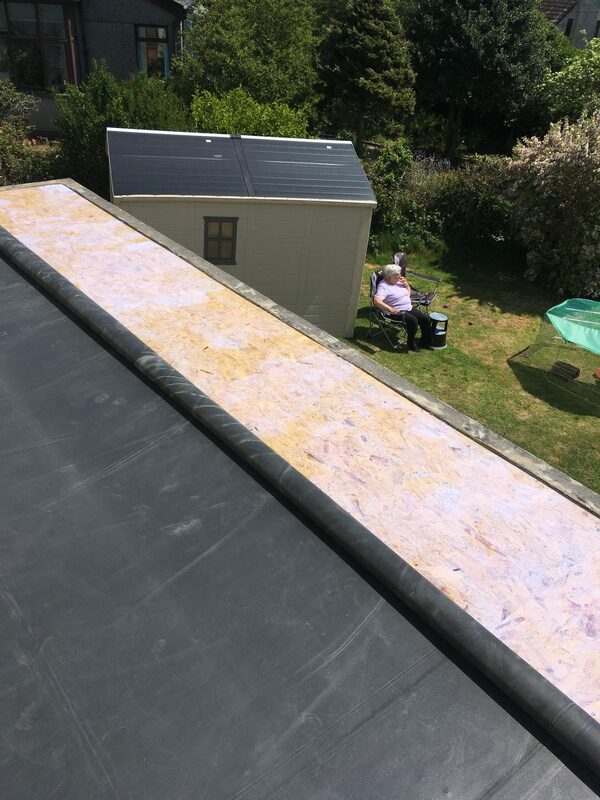 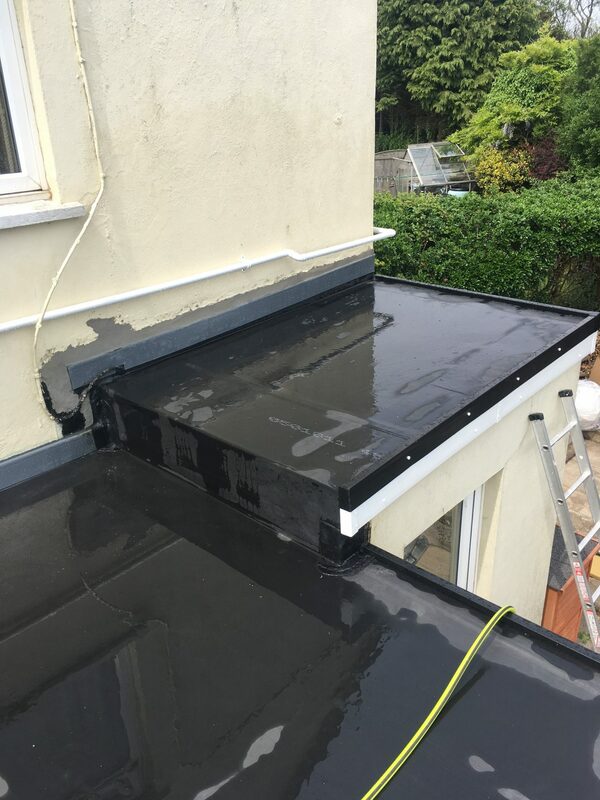 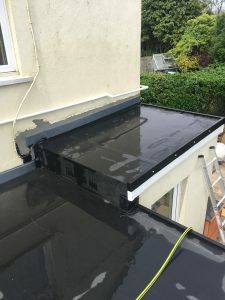 WE have recently finished this flat roof replacement in Helston with a new Firestone EPDM. 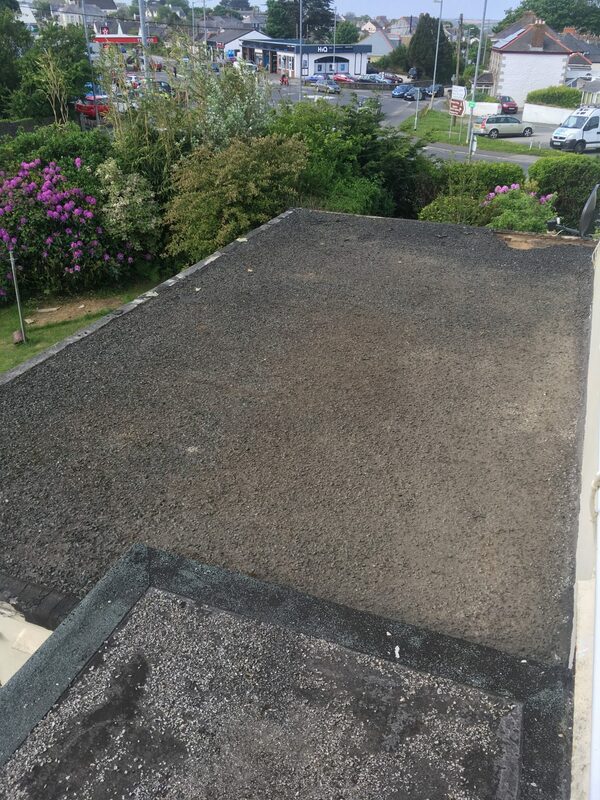 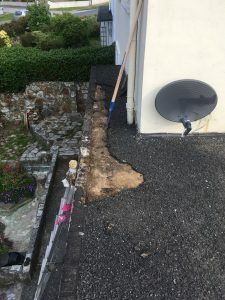 The installers removed the old stone and felt roof from the concrete base. 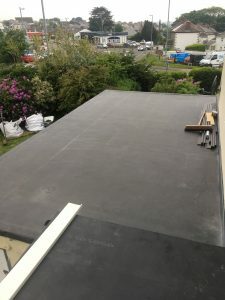 They then installed 12 mm osb boards and raw plugged them to the concrete base. 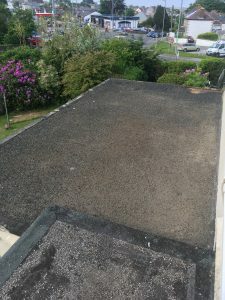 Once this was done they cut a chase into the up stand ready for the installation of the Firestone EPDM. 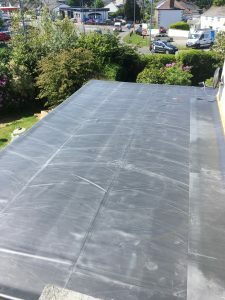 after this the EPDM was laid on the roof for it to relax before the installation. 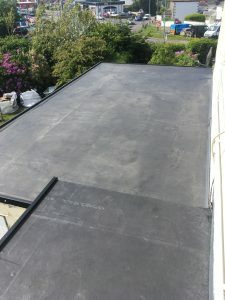 We then add the deck glue for the EPDM to be stuck down. Once in place we use a perimeter glue and up stand glue. 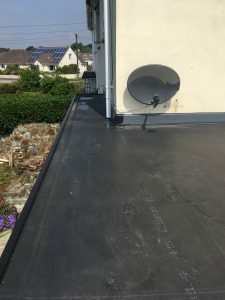 Also installed was an internal drain and up stand seals. Then to finish the job all curb edge trims are installed and nailed into place. 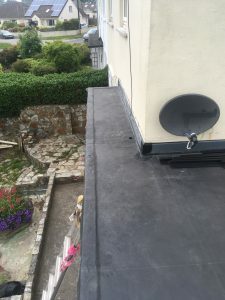 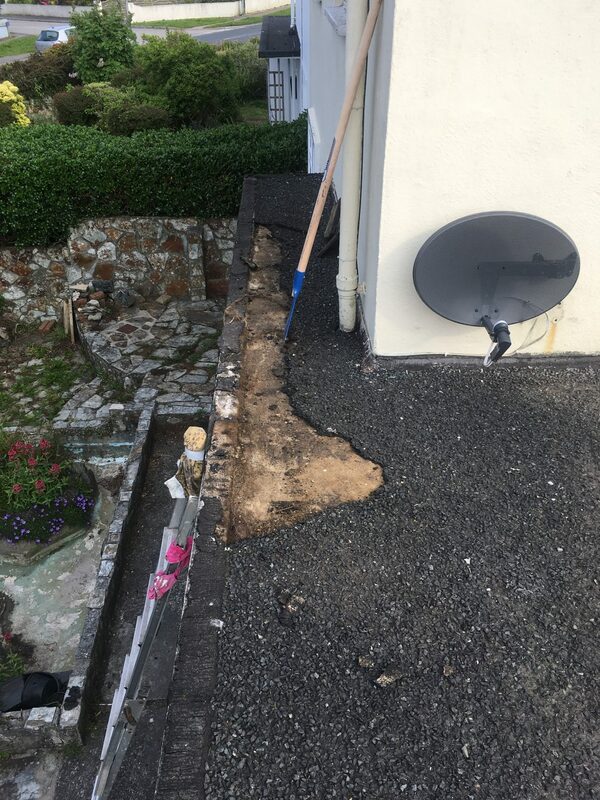 Mr & Mrs Streetly of Helston are very happy and now were going to install new fascias, soffits and guttering along with a coat of paint on the walls.